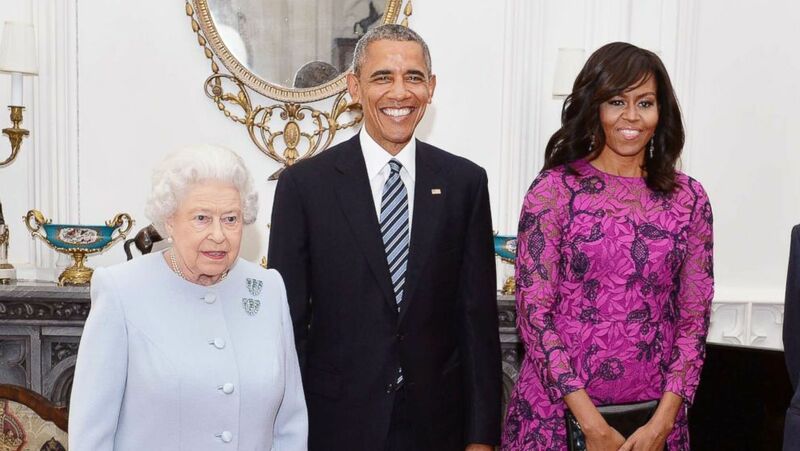 Obama revealed Queen Elizabeth told her that royal protocol is "rubbish." 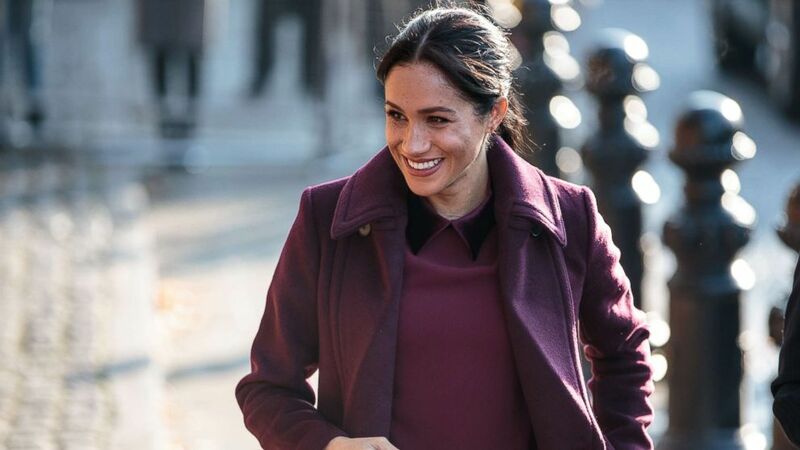 Meghan Markle, the Duchess of Sussex, privately attended Obama's book tour stop at London’s Southbank Centre, and spoke with the former first lady afterward, Kensington Palace confirmed. (Jack Taylor/Getty Images) Meghan Markle, The Duchess of Sussex visits the Hubb Community Kitchen to see how funds raised by the 'Together: Our Community' Cookbook are making a difference at Al Manaar, North Kensington, Nov. 21, 2018, in London. The meeting is believed to be the first between Markle — a native of California — and Obama, who has been on tour promoting “Becoming" since its Nov. 13 release. Obama knows Markle’s husband, Prince Harry, though. 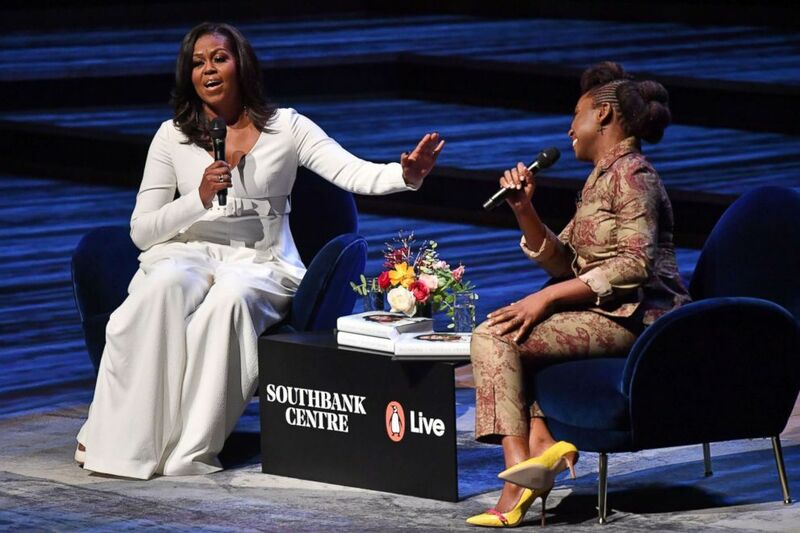 (Ben Stansall/AFP/Getty Images) Former first lady Michelle Obama speaks with Nigerian novelist Chimamanda Ngozi Adichie at the Royal Festival Hall in London on Dec. 3, 2018. Obama had tea with Prince Harry at Kensington Palace in 2015. And just last year, Harry and Obama surprised students at a Chicago school — Harry had traveled to Chicago for the inaugural summit of the Obama Foundation. The former first lady opened up about her marriage and miscarriages in the book. "It's such a special time," Kate said. The Duke and Duchess of Sussex plan to live outside of London. Prince Harry and his brother, Prince William, both made visits to the White House during the Obama administration. In 2016, Obama joined forces with Harry to headline the opening ceremony of the Invictus Games in Orlando. That same year, Michelle and Barack Obama visited Kensington Palace at the invitation of Harry, William and his wife, Kate. 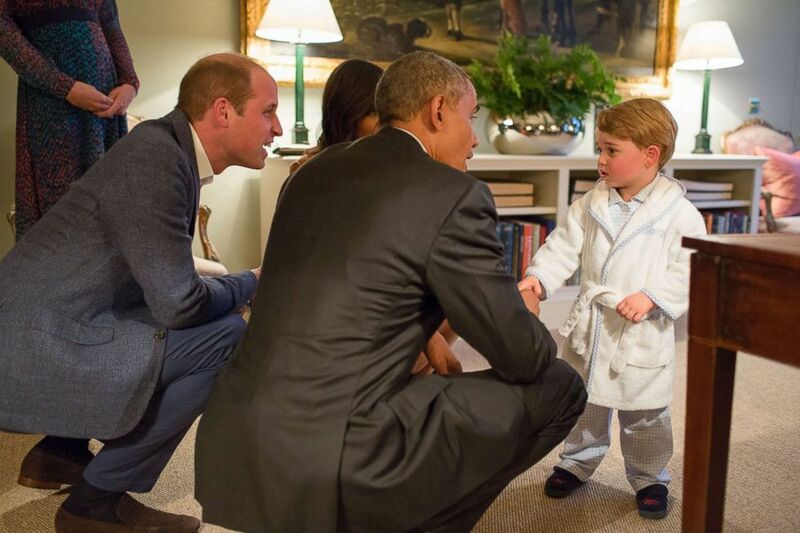 (Pete Souza/The White House via Getty Images) In this White House handout photo, President Barack Obama, Prince William, Duke of Cambridge and First Lady Michelle Obama talk with Prince George at Kensington Palace on April 22, 2016 in London. With Meghan in the audience at Tuesday's book event, Michelle Obama shared a story about a 2016 visit with Harry's grandmother, Queen Elizabeth II. Michelle Obama recalled the protocol that she was told to follow when she and Barack Obama made their last offiial visit to Windsor Castle in 2016. The former first couple was told they were going to land at the castle in Marine One and then be driven by the Queen, according to the British Press Association. "People are talking to other people and then you're briefed, and you're told, 'This is going to happen and don't stand there and don't touch there and this is precisely what is going on,'" Michelle Obama said. (WPA Pool via Getty Image, FILE) Queen Elizabeth II and Prince Philip, Duke of Edinburgh, stand with President Barack Obama and first lady Michelle Obama in the Oak Room at Windsor Castle on April 22, 2016 in Windsor, England. "So I had all this protocol buzzing in my head, and I was like 'don't trip down the stairs and don't touch anybody, whatever you do,'" she added. "And so the Queen says, 'Just get in, sit wherever,' and she's telling you one thing and you're remembering protocol and she says, 'Oh it's all rubbish, just get in.'" Obama also spoke in her onstage interview with author Chimamanda Ngozi Adichie about the controversy after she touched Queen Elizabeth on the back during a reception at Buckingham Palace in April 2009. 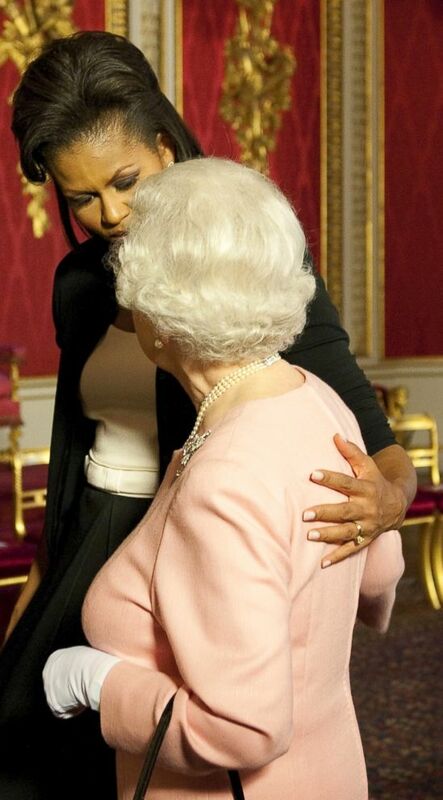 (Daniel Hambury via AP) Former first lady Michelle Obama meets with Britain's Queen Elizabeth II at the reception at Buckingham Palace in London, April 1, 2009. "I touched her," she said Monday. "After all those protocol lessons, I was human." Michelle Obama, who served eight years as the first lady, said the former president is also a fan of 92-year-old Queen Elizabeth. "Barack is so incredibly fond of Her Majesty and I won't go into his fangirling, but I think it's because she does remind him of his grandmother Toot — she's smart and funny and honest," she said. "He is a huge fan for sure." Michelle Obama's event on Monday was the first stop on her European book tour for "Becoming," which is the bestselling book of 2018. Michelle Obama canceled the next two stops in Europe — Paris and Berlin — in order to travel back to the U.S. to attend the funeral of former President George H.W. Bush.